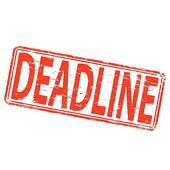 The student deadline is Friday, February 8, 2019. Make sure to submit your applications by this day. Good luck!